Round wall mirror in shimmery light browns and copper. 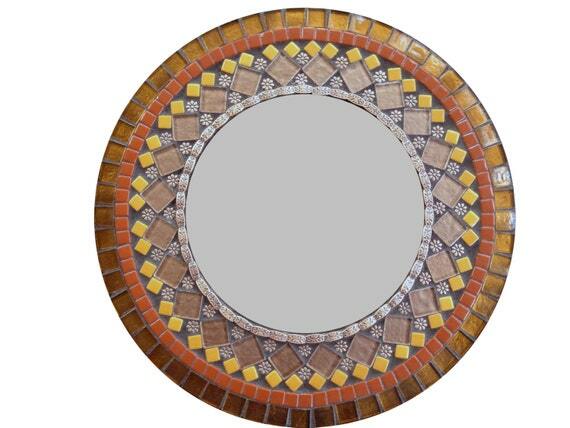 This decorative mixed media mosaic mirror is simply stunning. Some of the tiles are iridescent, while some have a metallic underlay. Both colors shimmer when caught in the light. The copper accent beads feature a flower motif and add to the geometric pattern. The black grout and black paint for the sides and back are striking and make the colors of the mirror really pop.